Since Ardwin was founded in 1988, we've become one of the largest and most well respected asset-based regional truckload carriers operating in the western U.S.
Our focus on moving your full truckload shipments throughout the western U.S. allows our customers peace of mind in knowing that we can reliably cover their loads and do it at an industry leading low cost. As a market leader we strive to provide collaborative truckload transportation services that allow customers to deliver service excellence across their transportation networks. At Ardwin, we endeavor to be the best at what we do. 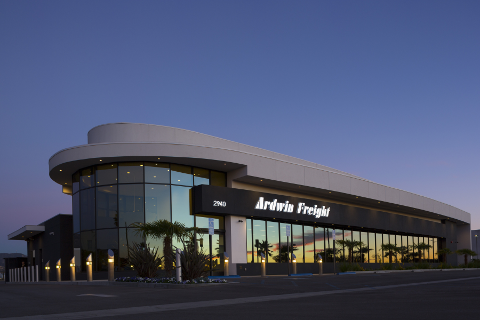 Ardwin brings together logistics and industry specific experience, state of the art equipment, technology, and great people to serve the truckload transportation needs of our customers. In response to increased customer expectations and the need to drive efficiencies across operations, shippers are partnering with carriers that can deliver high performance pick-up and delivery of their full truckloads. Our regional focus, low driver and employee turnover, state of the art equipment, advanced business processes, and effective leveraging of the latest technology has allowed us to build a reputation for surpassing customer expectations at the lowest possible costs. Leveraging our regional focus and large fleet of state of the art equipment we are able to provide shippers the equipment needed for them to maintain a high level of productivity. The most successful companies know the importance of getting accurate information about their business when and how they need it. Ardwin prides itself on its ability to exchange the information you need to effectively run your business in the format that best supports your organization. Leading companies move beyond transactional relationships to forge strategic partnerships with vendors that can solve problems and deliver enterprise value. Let us demonstrate how we have helped other shippers to drive value in their organizations. Our drivers meet stringent qualification standards and our safety team continuously monitors our fleet; so you can be sure your freight is handled by professionals who understand your need for incident-free delivery. Our drivers and operations staff is trained to identify potential threats and avoid risk. Every Ardwin truck is equipped with satellite tracking and instant communication technology, along with security locks and fleet-wide emergency messaging.